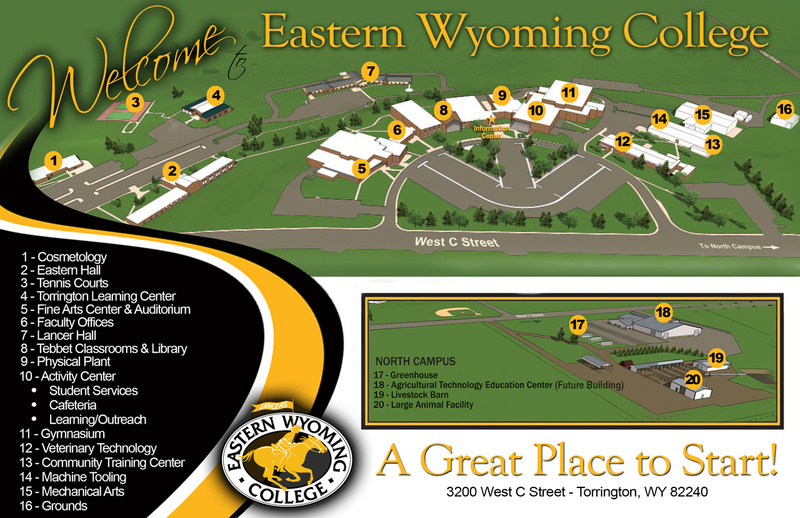 Eastern Wyoming College has announced that a registration event will be held for Goshen County graduates on May 21, 2013 at the main campus in Torrington. Students will meet with an advisor and register for the Fall 2013 semester. Students will have the opportunity to begin with COMPASS placement exams, if needed. This placement exam is used to ensure placement into the appropriate English, reading and math courses. This is a fee of $15 for these computer-based exams. Students should bring a calculator for the mathematics portion of the test. Parents are invited to attend a program called “You and Your Student” while the students are testing. Advisors will be available following the testing to assist students in registering for classes. Lunch will be provided for students and their families from 11:30 am to 1:00 pm. Students are encouraged to sign up early for the pre-registration session. To sign up, call Deb Doren at 307.532.8230 or visit the EWC website at ewc.wy.edu to sign up online. Registration for the Summer 2013 session is also currently open. A complete schedule is available online at ewc.wy.edu.